The man who caused a 2014 car crash that killed three women and two childen has pleaded guilty to all charges. Kenneth Kelley was driving drunk when he crashed into a car stopped at a red light in Oxon Hill, Maryland, the night of Oct. 10, 2014. The crash killed Tameika Curtis, 34, her sister, Typhani Wilkerson, 32, their passengers, Hassan Boykin, 1, and Khadiua Ba, 13. Dominique Green, 21, who was a passenger in Kelley's car was also killed in the crash. Curtis was a mother of eight, the youngest of whom was just 6 weeks old at the time of the crash. Wilkerson had two toddlers. 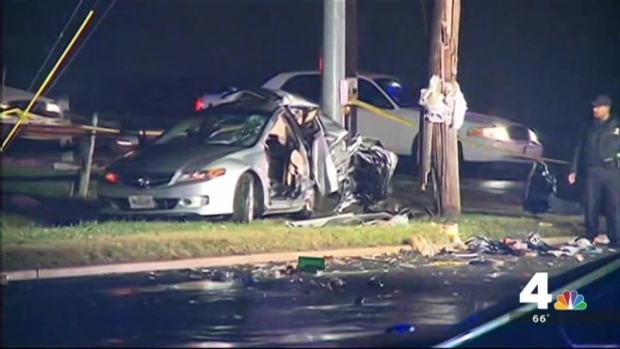 Jury selection was supposed to begin in the trial of Kenneth Kelley, but in an unexpected twist, he pleaded guilty to charges in crash that killed five in Oxon Hill, Maryland, in 2014. Prince George's County Bureau Chief Tracee Wilkins reports. "We're talking about 10 kids without mothers," Lloyd Hardy, a family member, said after the crash. "Ten. I mean, that's absolutely devastating." On Monday morning, Kelley pleaded guilty to all 28 charges, including five counts of negligent manslaughter. He was expected to stand trial. Prosecutors said Kelley was driving more than 70 mph when he slammed his Mercedes into an Acura stopped at Livingston Road and Livingston Terrace about 9:40 p.m. 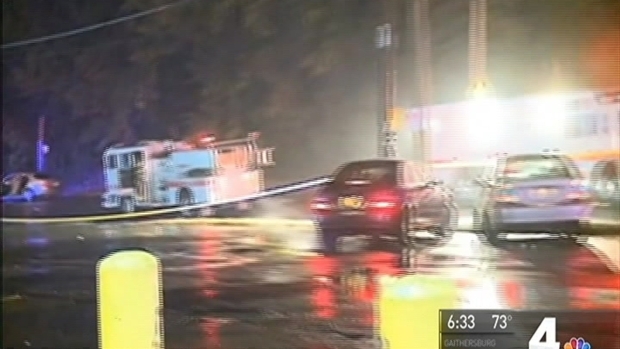 The 1-year-old boy and 13-year-old girl were rushed to a hospital, where they died. Only Kelley and the children's mother, Dossa Boykin, survived the crash. She had been driving the Acura. "I just felt like I was in a nightmare," Boykin previously told News4. "I wish I would have died, too. My daughter was in the backseat, singing some silly song. We were all laughing. Next thing I know, I saw cracks in the windshield. We never knew what hit us." Relatives of Curtis and Wilkerson said the sisters had agreed to take care of each other's kids if anything ever happened to one of them. News4's Darcy Spencer spoke with the mother of two kids who were among three others killed in a violent crash in Oxon Hill last week. "Nobody ever thought, you know, what happens if they both go at the same time?" said Hardy, the father of Curtis' oldest two children, who are teenagers. "Something like that was inconceivable. There was no plan for that." Kelley was driving on a suspended license at the time of the crash. Prosecutors said his blood alcohol level was 0.14, nearly twice the legal limit in Maryland. He will be sentenced in May.